There are two tasks. 1- look at the pictures and answer the questions. 2- look at the pictures and complete the charts. You can add some listening activities to colour. I hope it can be useful ! 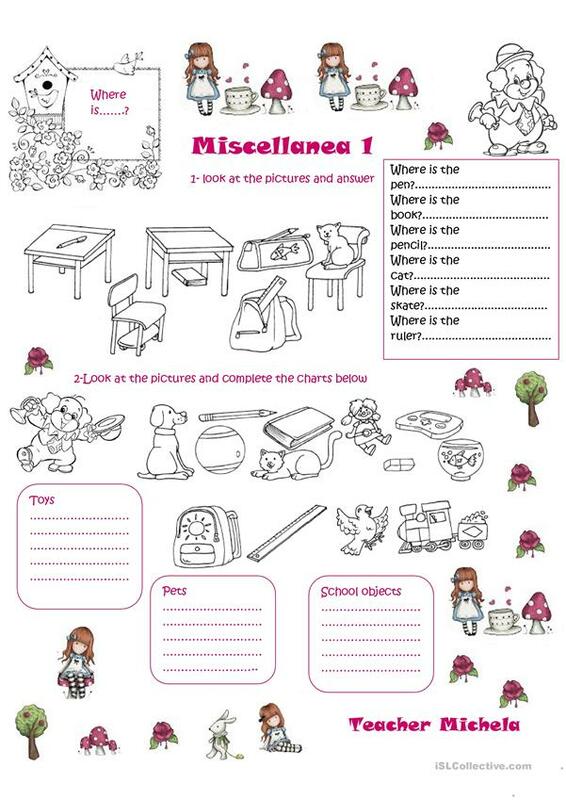 The present downloadable teaching material was created for elementary school students and students with special educational needs, learning difficulties, e.g. dyslexia at Elementary (A1) level. It is valuable for revising Prepositions of place in English, and can be used for honing your class' Listening, Reading and Writing skills.